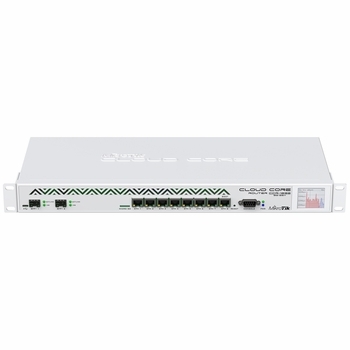 MikroTik's fastest router has now become even better - the new CCR1036-8G-2S+ now has two SFP+ ports for 10G interface support (SFP+ module available separately). It uses the same 36 core Tilera CPU as our other CCR1036 model, and delivers the same performance, but now, ten gigabit links are possible. 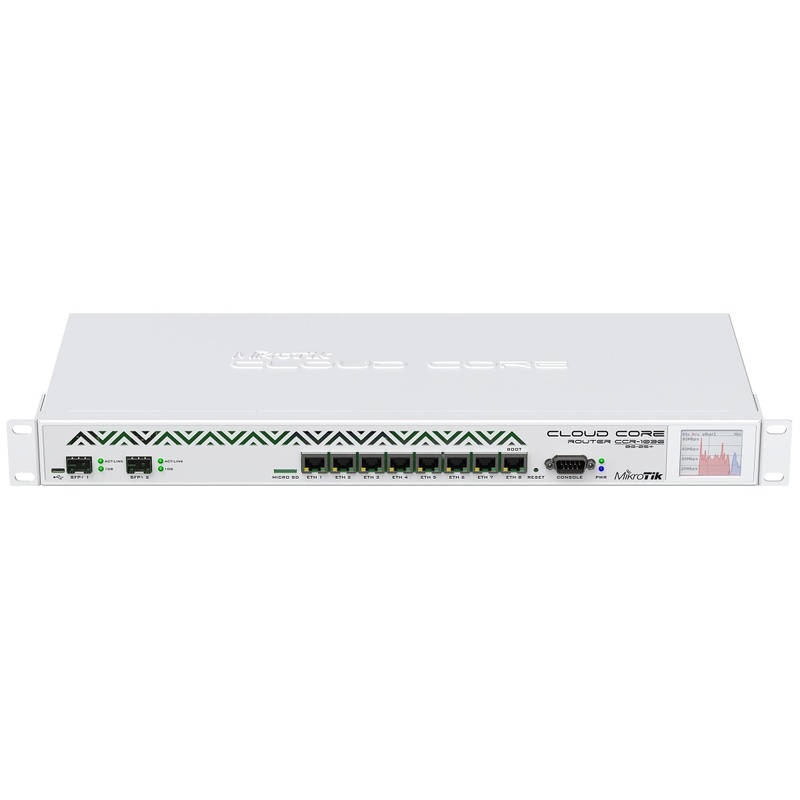 The device comes in a 1U rackmount case, has two SFP+ ports, eight Gigabit ethernet ports, a serial console cable and a USB port. The CCR1036-8G-2S+ has two SODIMM slots, by default it is shipped with 4GB of RAM, but has no memory limit in RouterOS (will accept and utilize 16GB or more). Also available now, the EM model with 16GB of RAM!